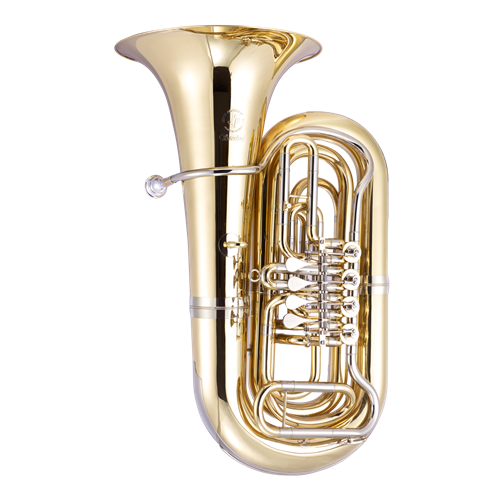 The JP379BB is a fantastic quality instrument suitable for pro players who are looking for a large bore Contrabass tuba to play in orchestras. The tuba would also fit in well in concert bands and wind bands if the tuba part was for a larger instrument. Created in collaboration with Paul Riggett of Sterling Brass, the JP379 represents a fusion of professional level Sterling components and design with the affordability and durability normally associated with the JP brand. Constructed from high grade 80:20 brass, the JP379BB features 4 in-line rotary valves and is a full 4/4 size standing at a height of 1060mm (41.7") . With a bore of 19.5mm (.768") and a bell size of 450mm (17.7"), the instrument also features carriage rings and a lyre box.